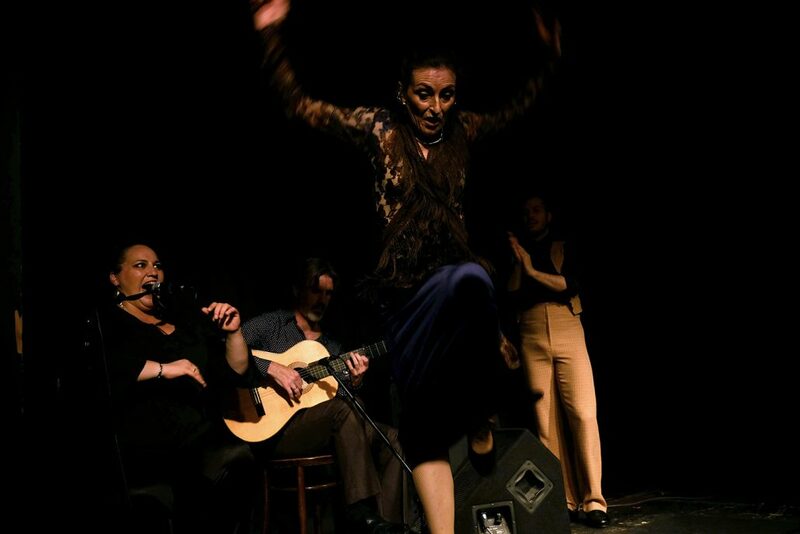 Natalia García Guteriérrez best known in the flamenco world with the artistic name of La Nati, was born in the Barrio Madrileño de Vallecas. 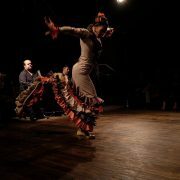 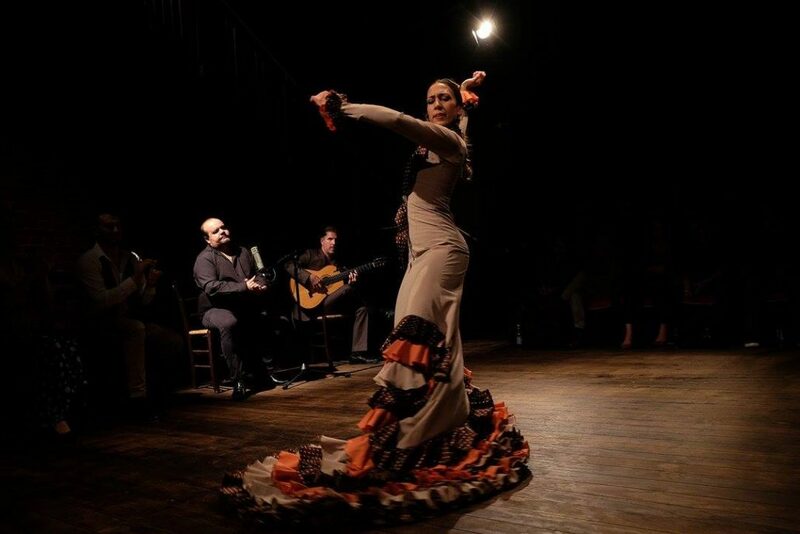 Her love of flamenco began at a very young age when she would sing at the late night parties and jam sessions in the area. 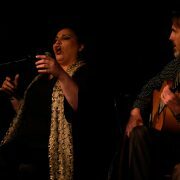 Her full-blooded street voice soon brought her success and she began to sing in the peñas, tablaos and cultural centers of Madrid with her great friend & teacher Juan de Madrid on the guitar and with whom he Recorded her first CD, ‘Navegando’. 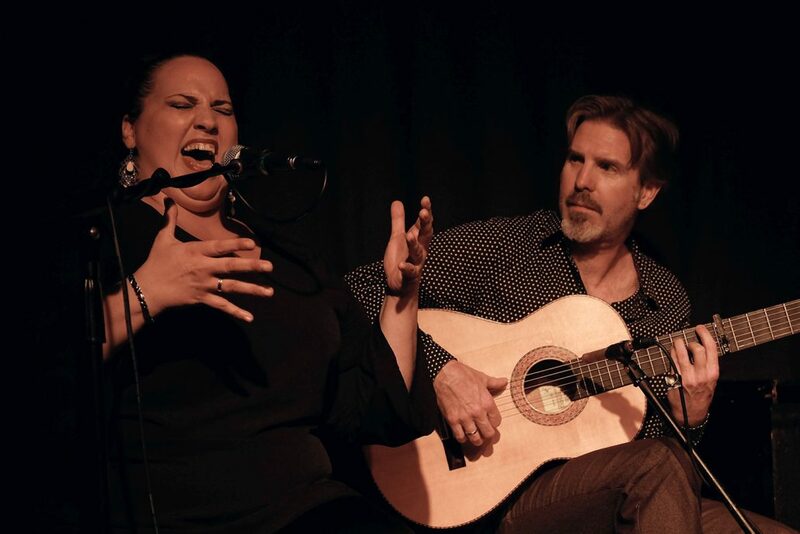 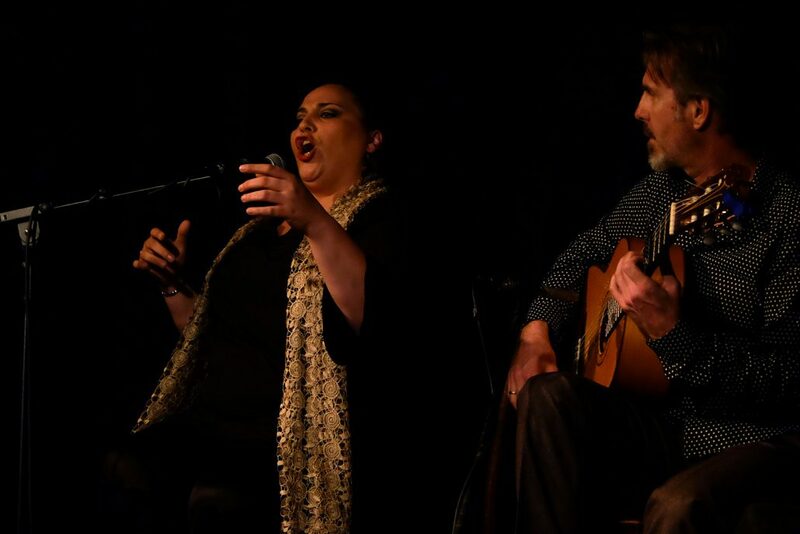 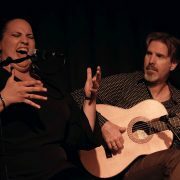 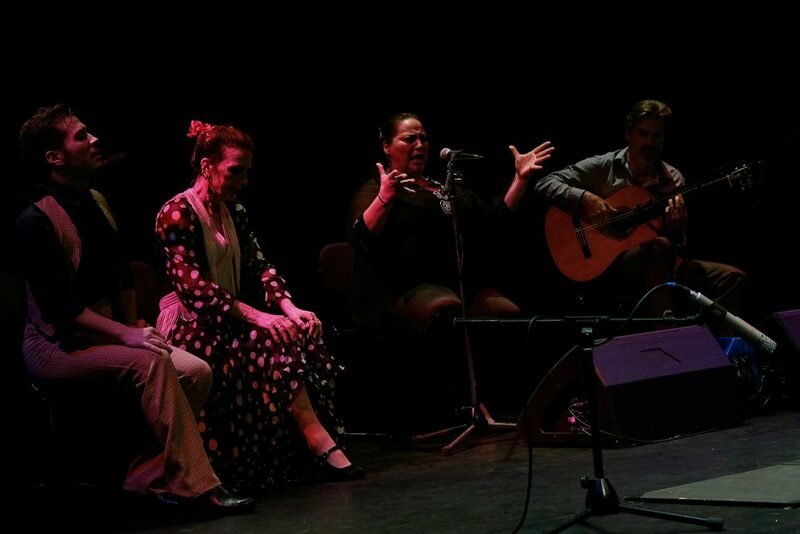 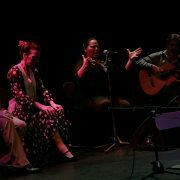 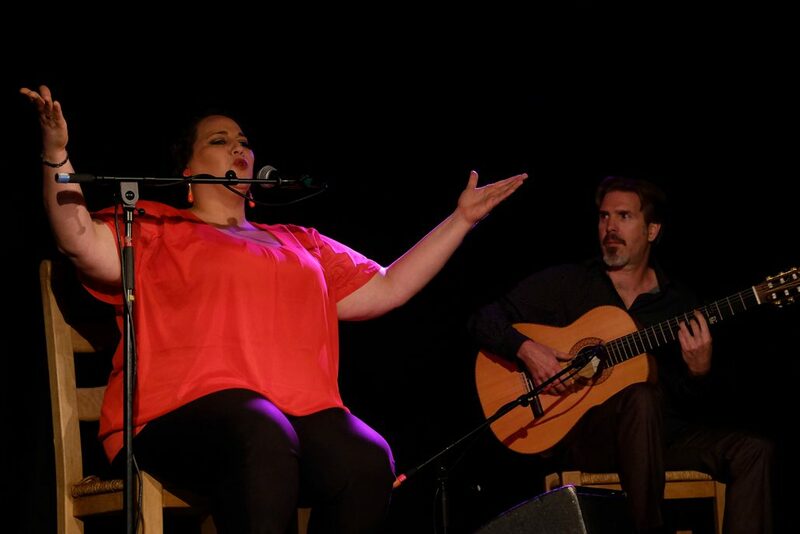 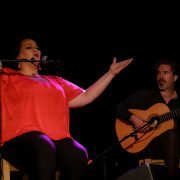 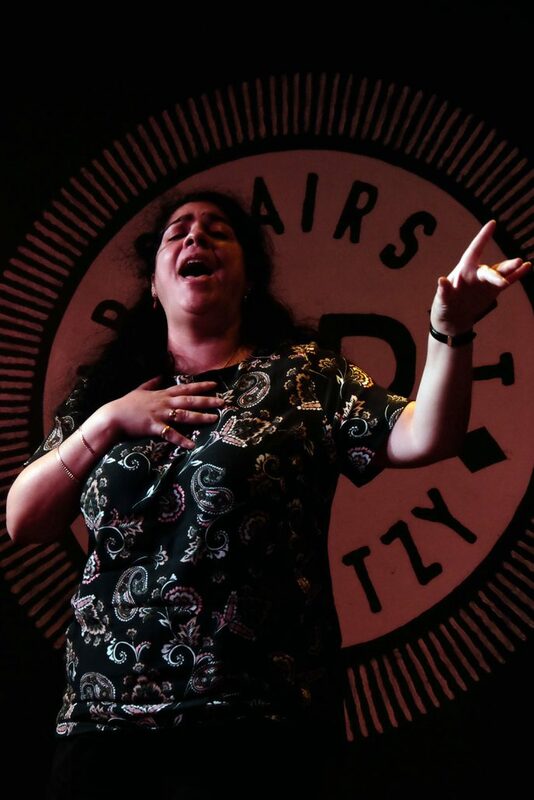 La Nati commands total attention from her audience, who submit with pleasure to such a pure flamenco voice which conveys courage, power and artistry. 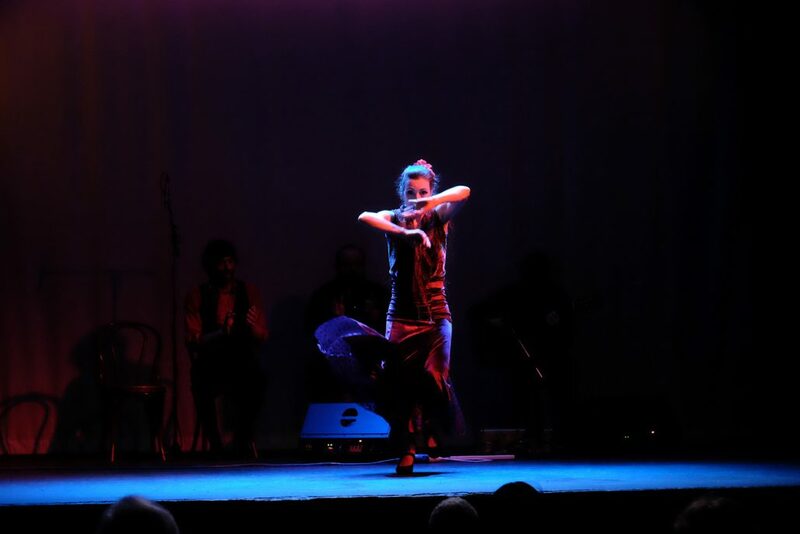 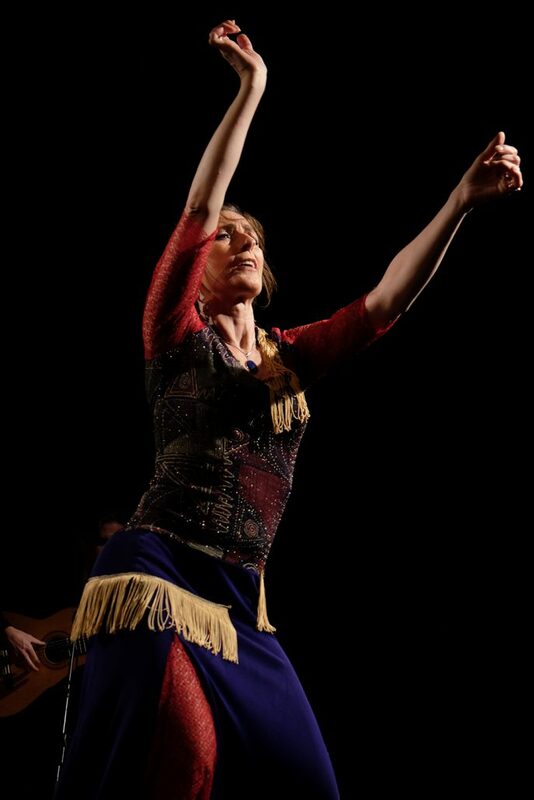 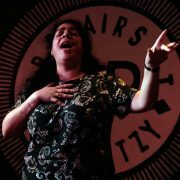 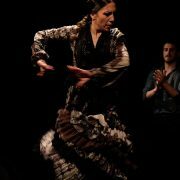 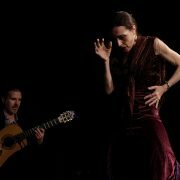 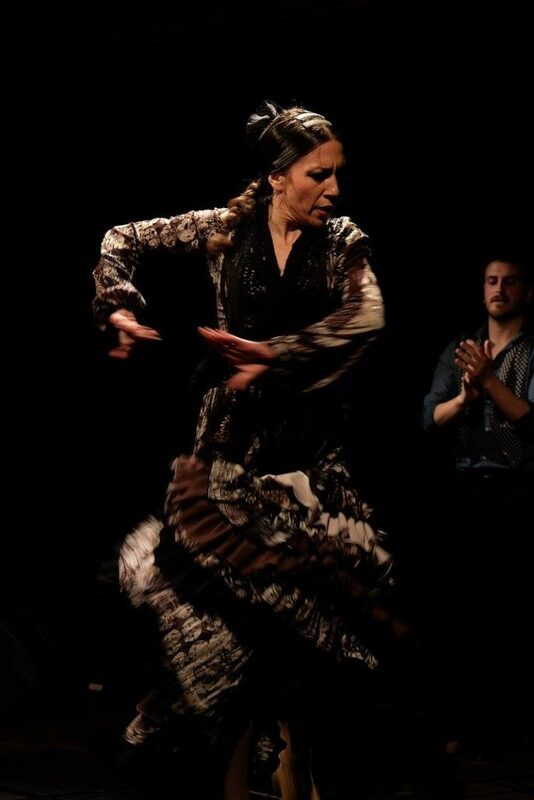 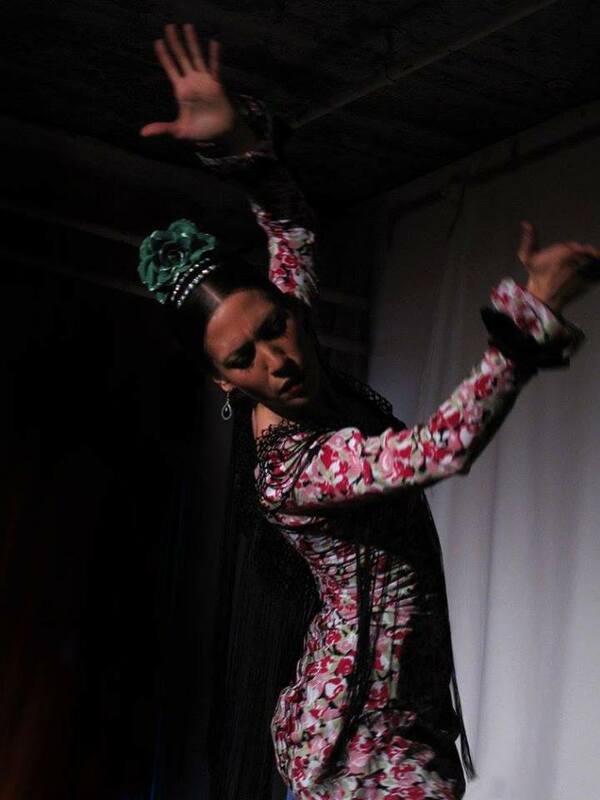 Born in Madrid, Sara studied with some of Flamenco’s finest such as La Popi, Beatriz Barceló, Paco Pozo, David Sánchez, Pepa Molina, María Juncal, Marco Flores and Concha Jareño. 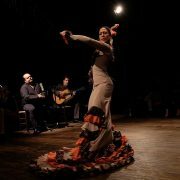 In worldwide demand and since 2009 a regular favourite at prestigious tablaos such as Las Carboneras, El Corral de la Moreria and Tablao Villa Rosa in Madrid. 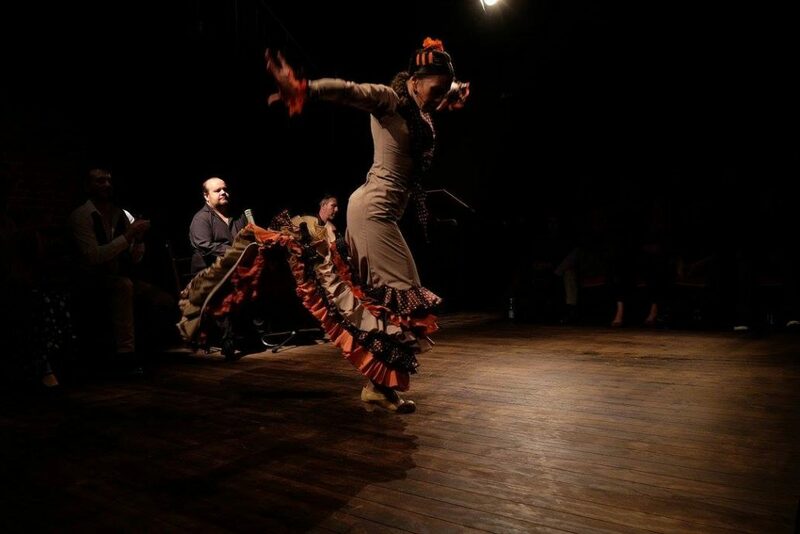 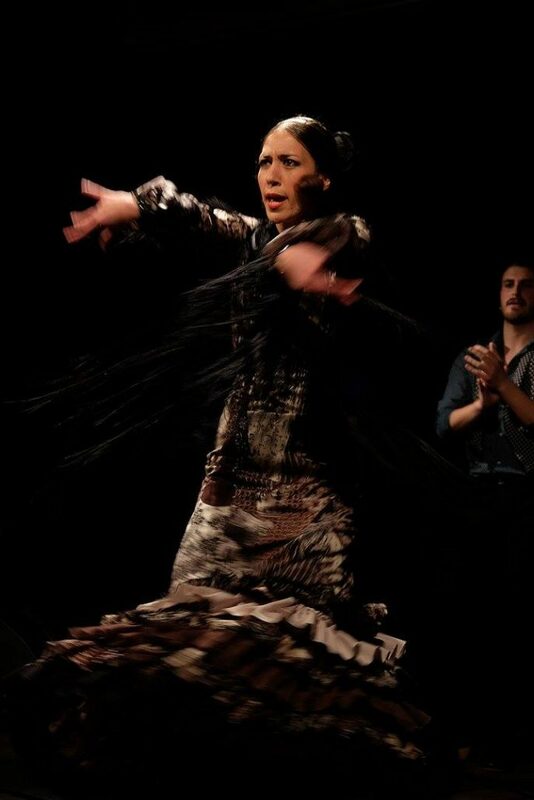 A member of the Ballet Flamenco of Madrid since 2011. 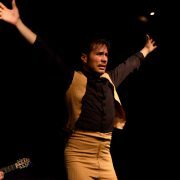 A furiously effervescent dancer of unique power, imagination and grace. 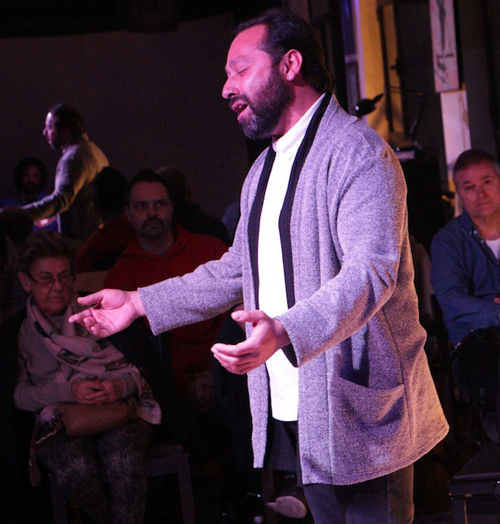 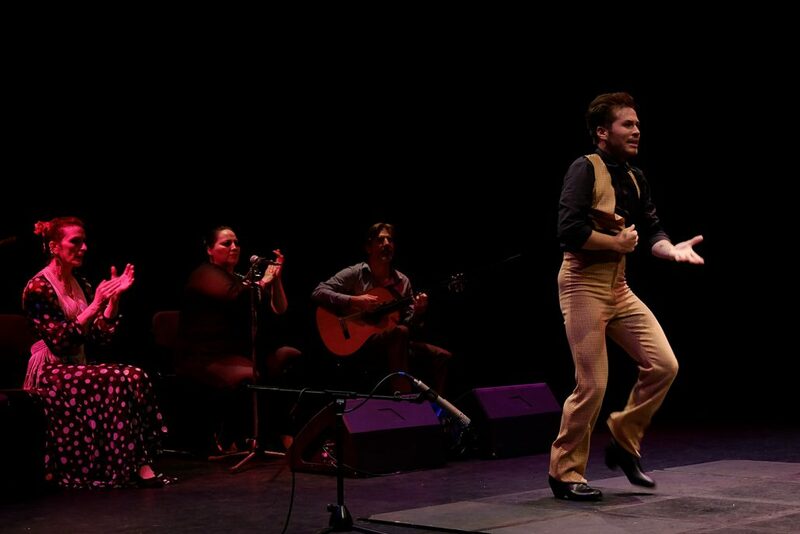 A gypsy from Arcos de la Frontera, he shared the stage with artists such as Camarón de la Isla, Paco Toronjo, Aurora Vargas, Chiquetete, Turronero and Chano Lobato from the age of 15. 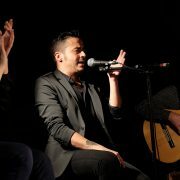 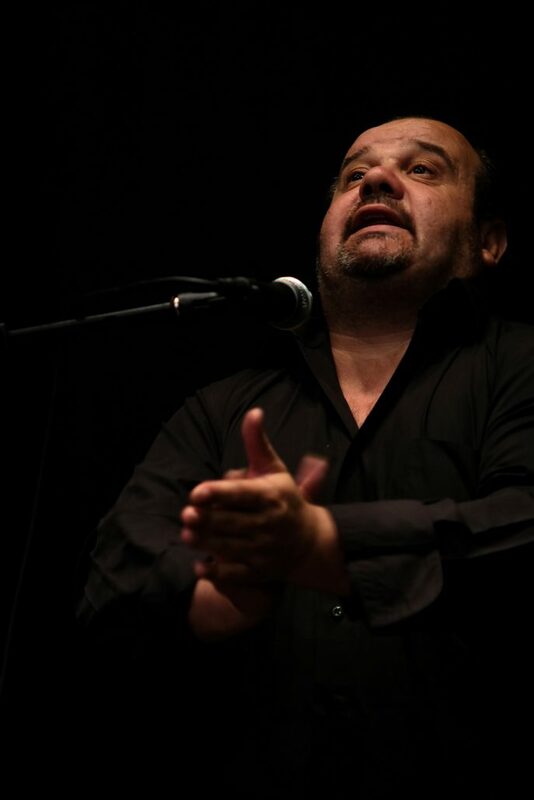 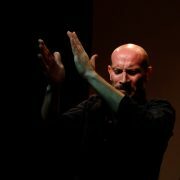 After relocating to Madrid he worked with La Tati, Rafael Amargo, Cristóbal Reyes and Juan Andrés Maya and has recently founded his own dance company – Compañía Titi Flores. 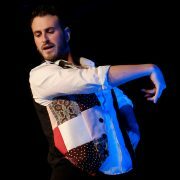 Born in Valencia in 1984, he began studying dance at 9 years of age with teachers Martín Vargas and Jose Porcel. 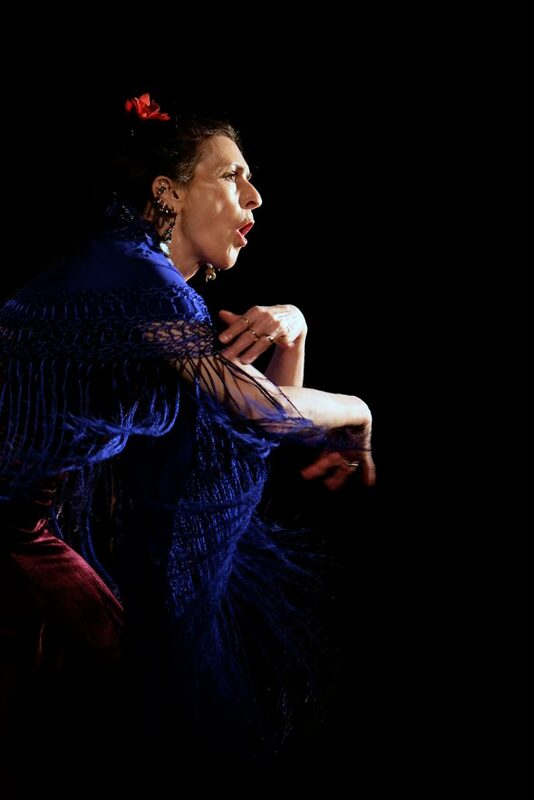 In late 1995 he joined the National Ballet of Spain in their production of ‘Medea’ sharing the stage with Lola Greco, Antonio Marquez and Luis Ortega among others. 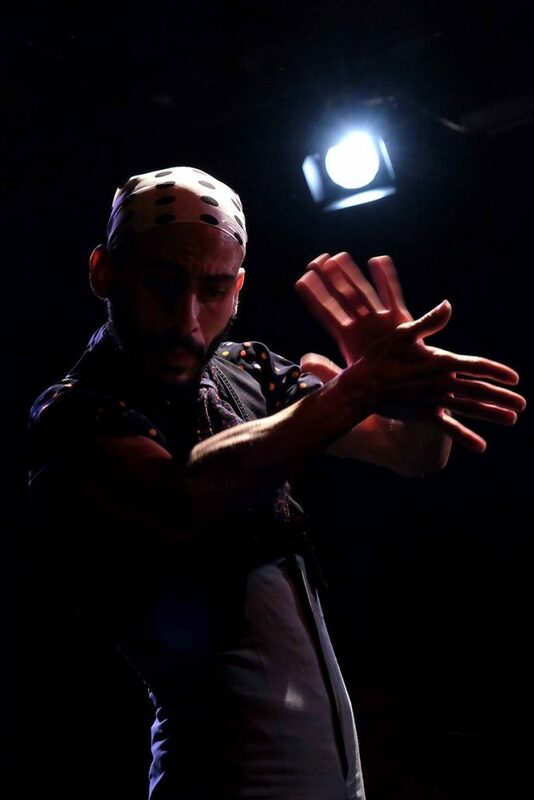 He moved to Madrid in 2001 to study and perform with with Manuel Reyes, Domingo Ortega and La China and in 2004 he joined the company of Domingo Ortega collaborating on the show ‘Orpheus’ on tour in Japan & USA. 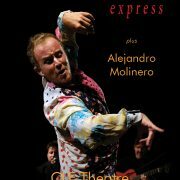 In 2006 he joined the New Spanish Ballet Company directed by Miguel Ángel Rojas and Carlos Rodriguez touring Europe, Asia and the Americas and including a performance at the Royal Festival Hall in London. 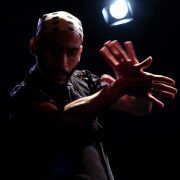 Since 2007 he has performed with many dancers and choreographers such as Rafael Aguilar for the shows ‘Carmen’ and ‘Bolero Flamenco, and as a soloist with Aida Gomez. 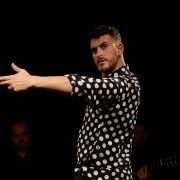 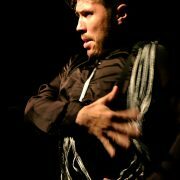 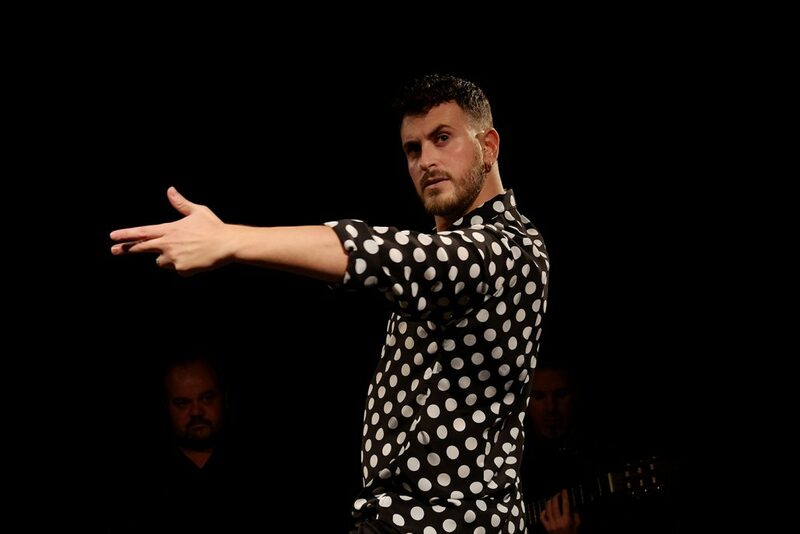 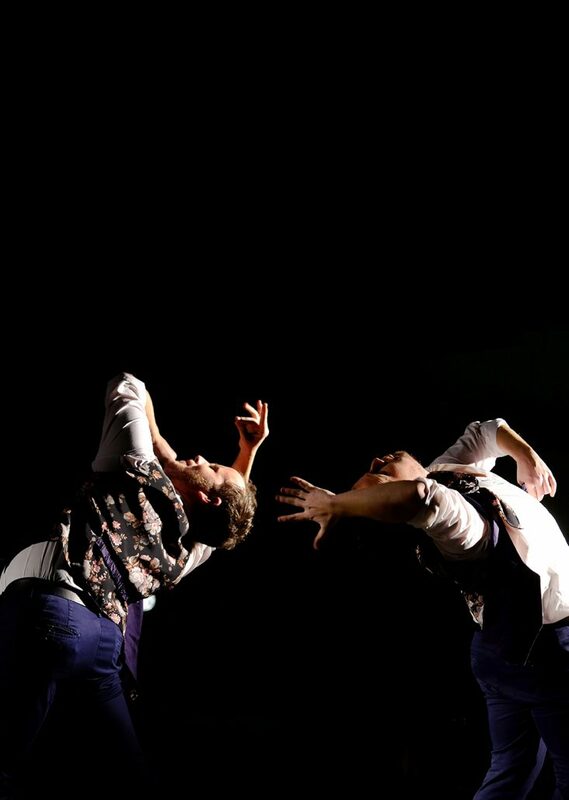 In 2013 he won first prize at the III International Dance Festival in Almería and has recently formed his own company in Madrid which has just opened its second show 3DEUNO. 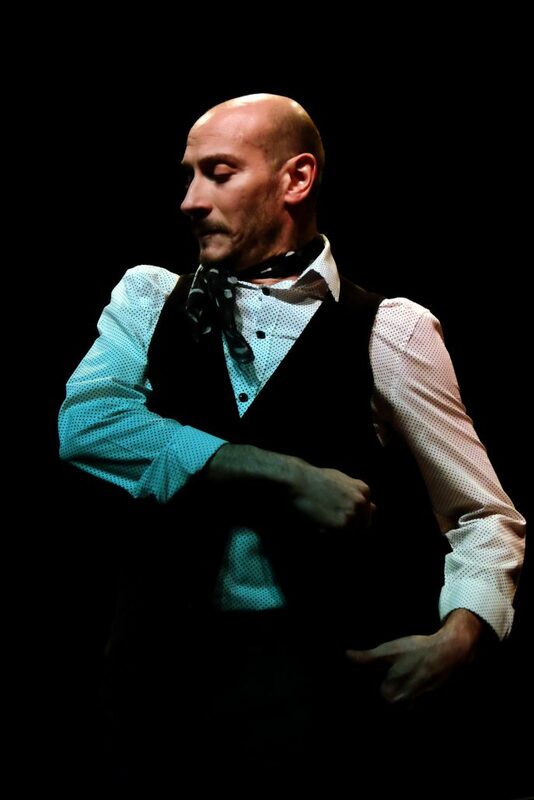 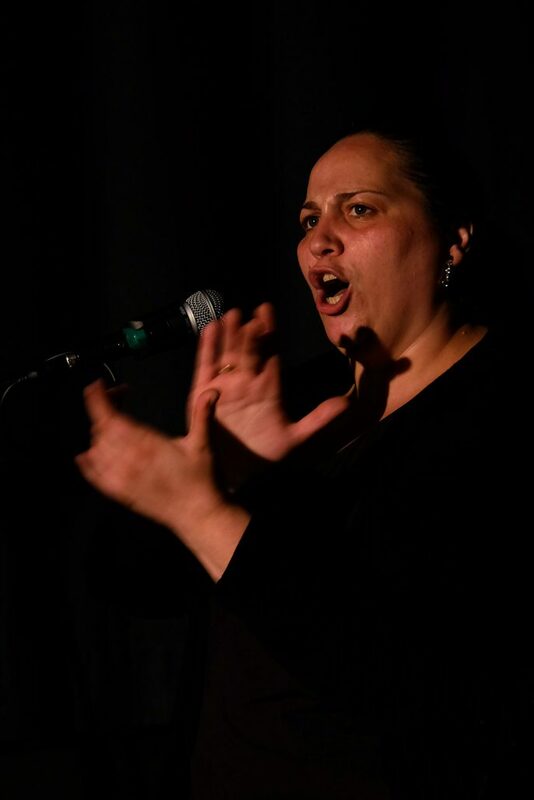 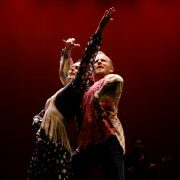 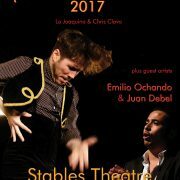 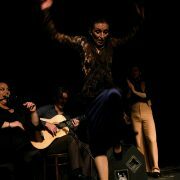 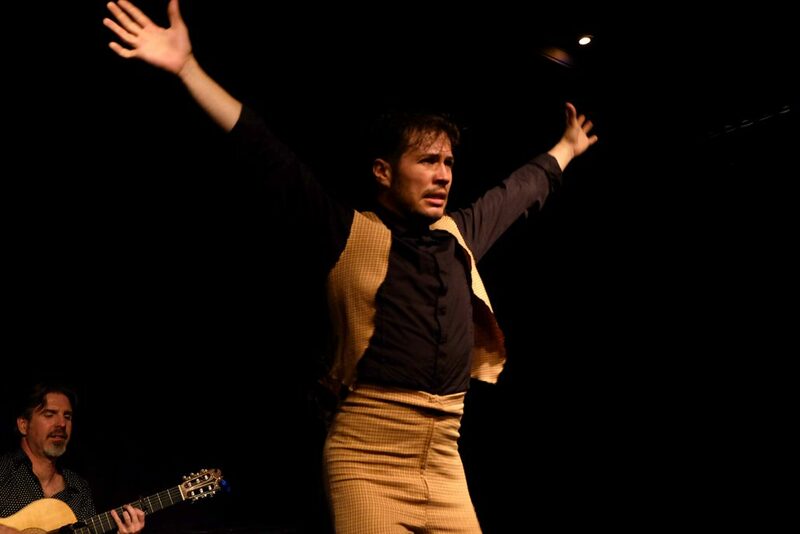 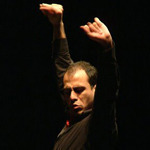 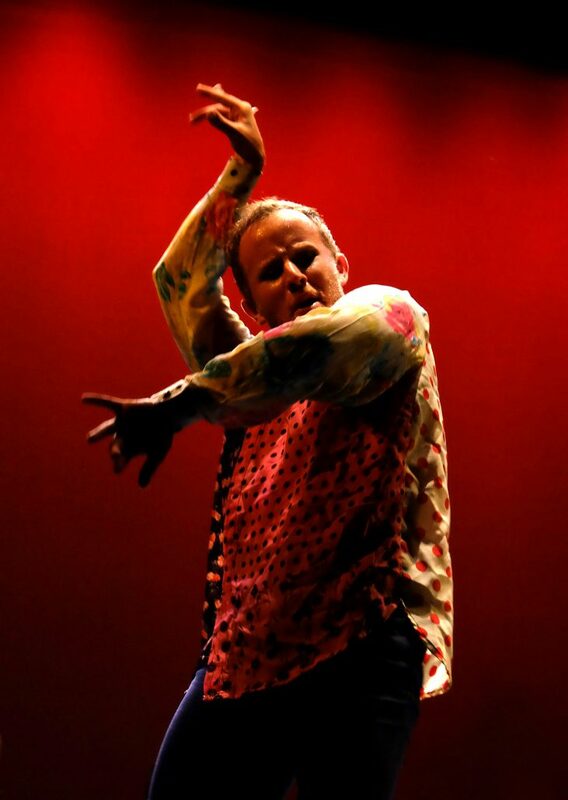 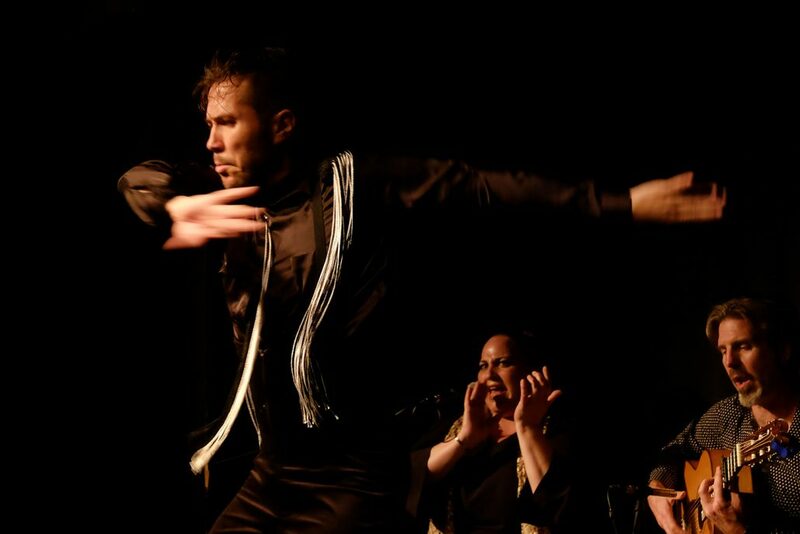 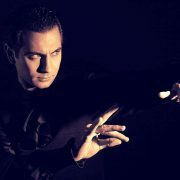 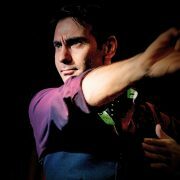 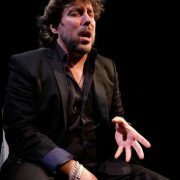 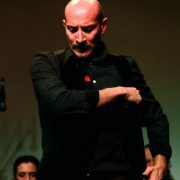 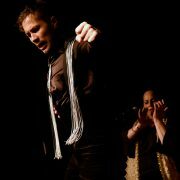 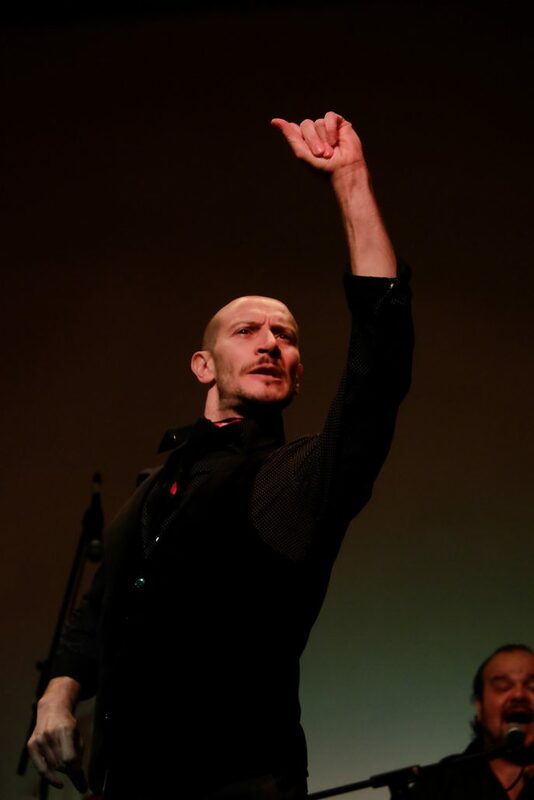 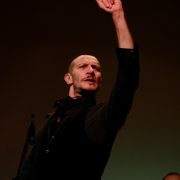 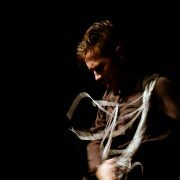 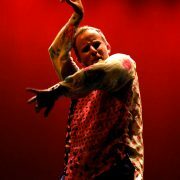 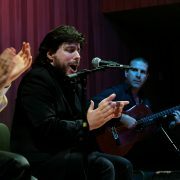 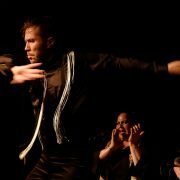 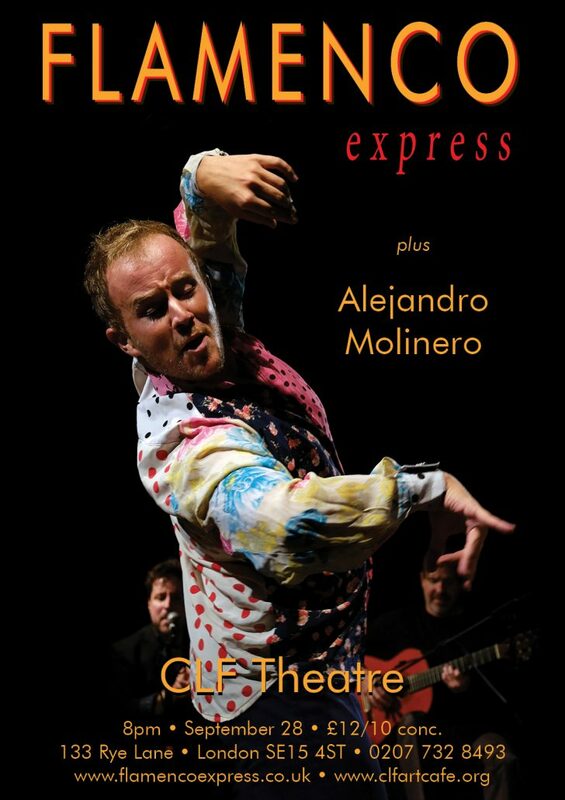 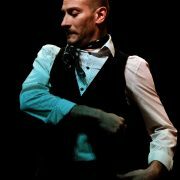 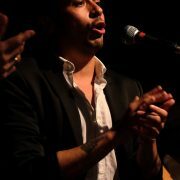 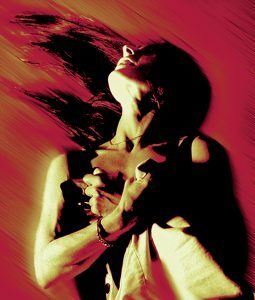 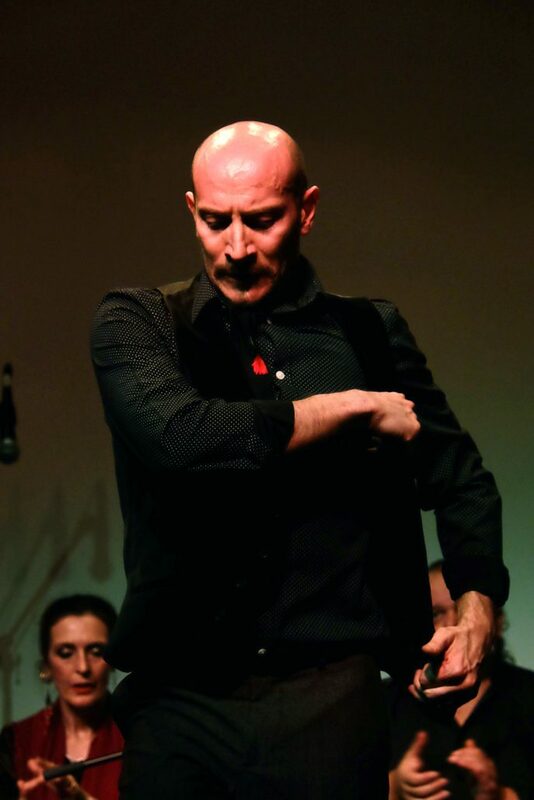 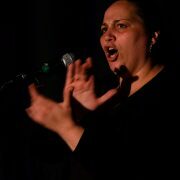 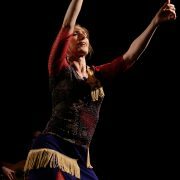 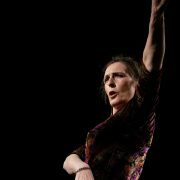 Founder member, choreographer and director of Flamenco Express. 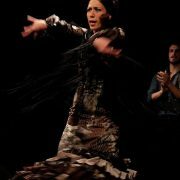 She has worked with Christina Hoyos, Paco Peña and others in Madrid, Tokyo, New York, Montreal, Toronto, Paris and throughout Europe. 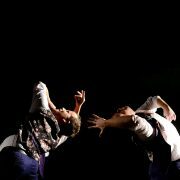 Recent Collaborations have included ‘Spaces in Between’ 2007 – Royal Festival Hall Re-opening celebrations with Athina Valha and Candoco. 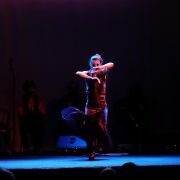 Principle soloist ‘Splinter In The Flesh’ with the Hellenic National Dance Company at the Athens Megaron. 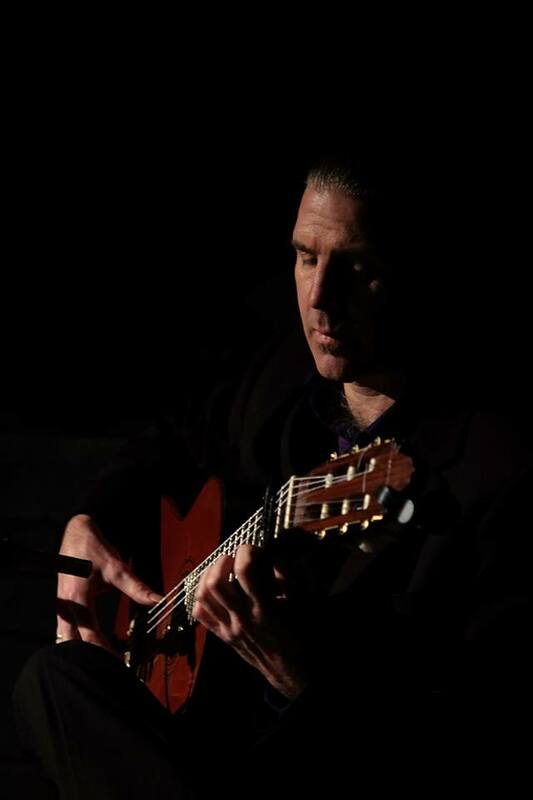 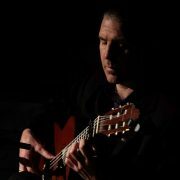 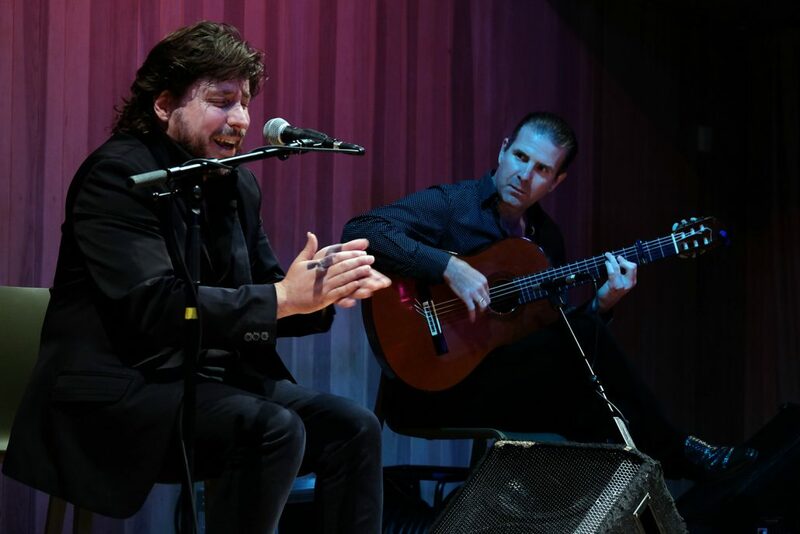 A founder member and musical director of Flamenco Express, he began playing the guitar at fourteen years old and later studied with flamenco maestros Carlos Heredia, Diego Amaya and Pepe Justicia. 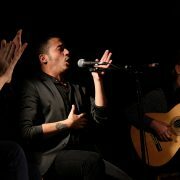 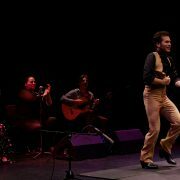 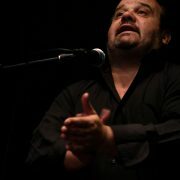 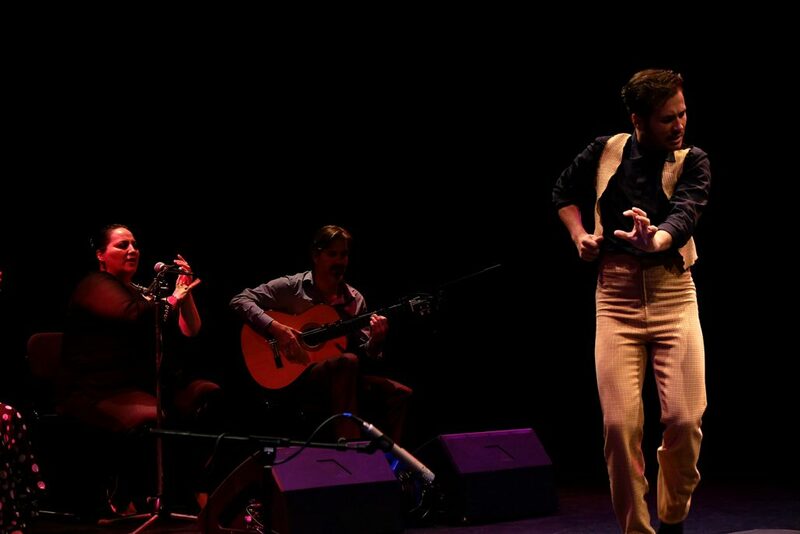 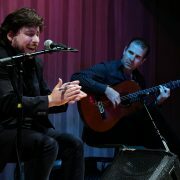 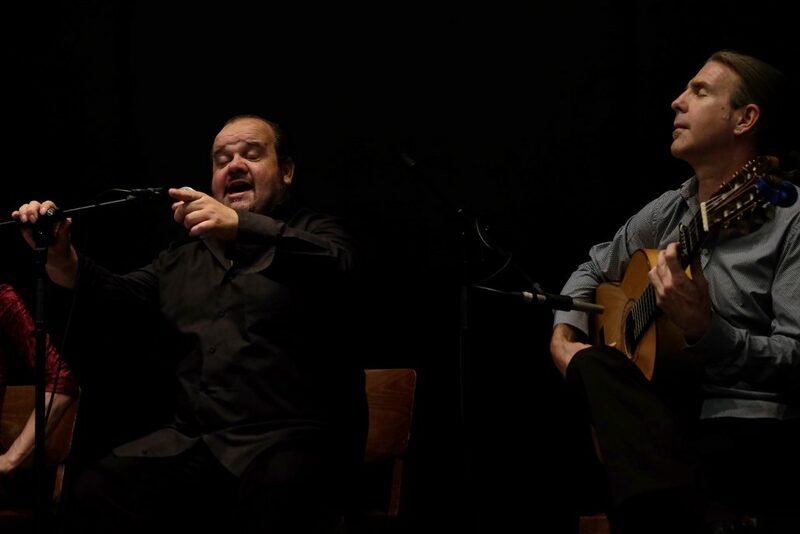 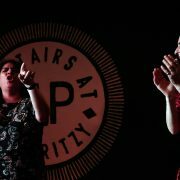 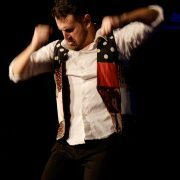 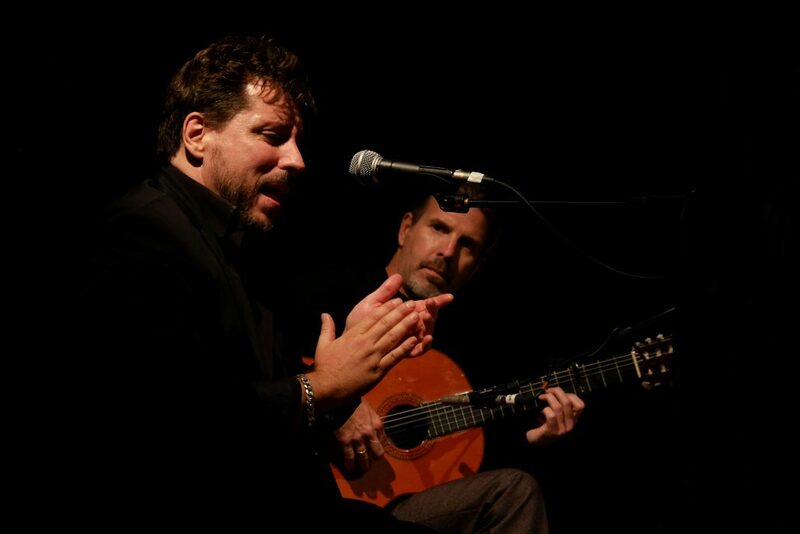 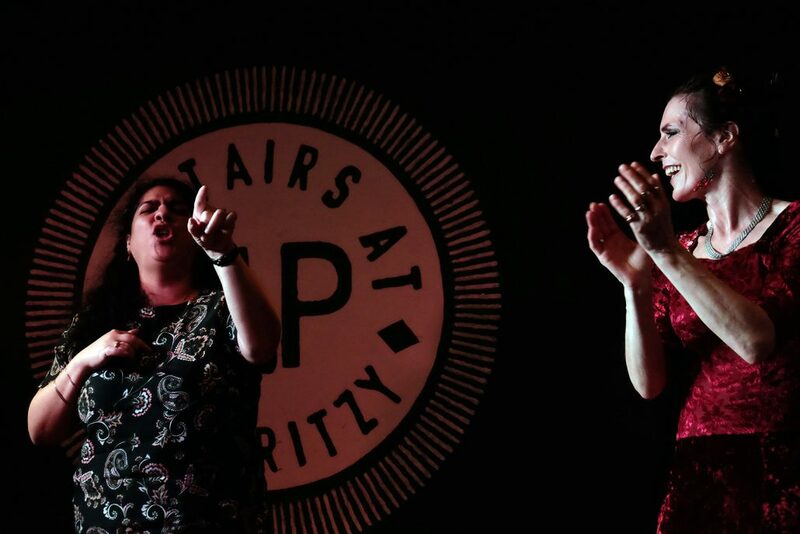 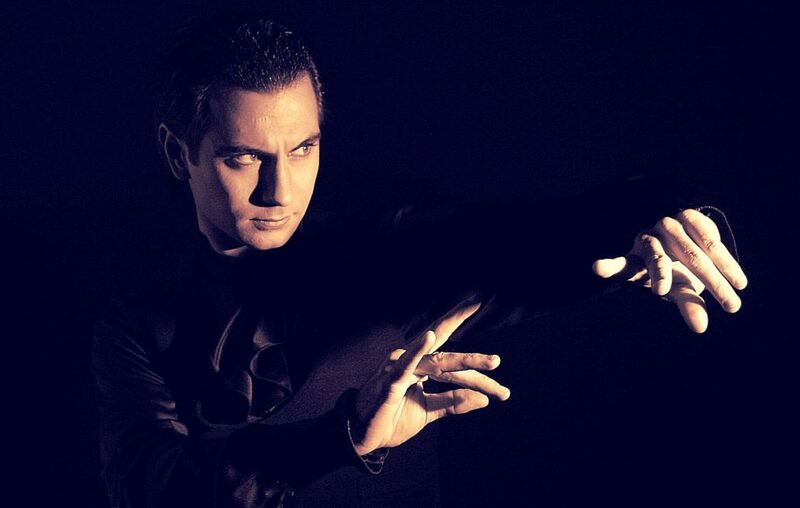 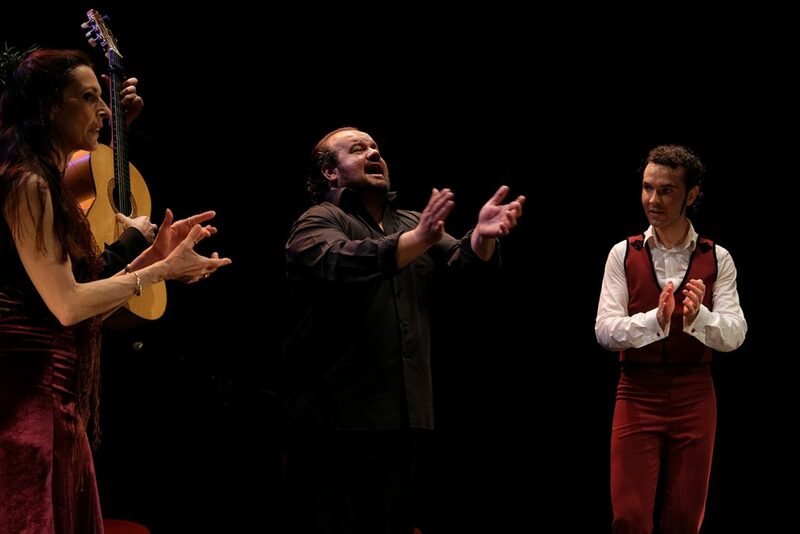 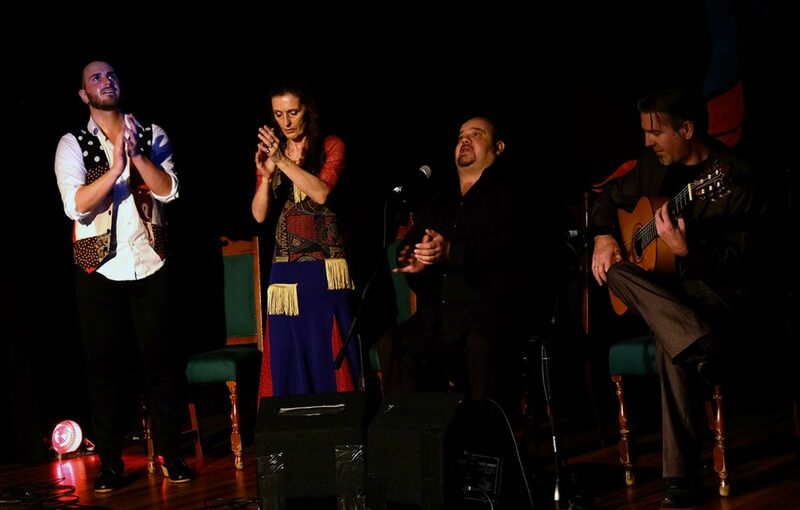 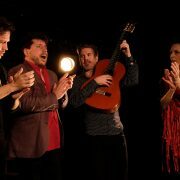 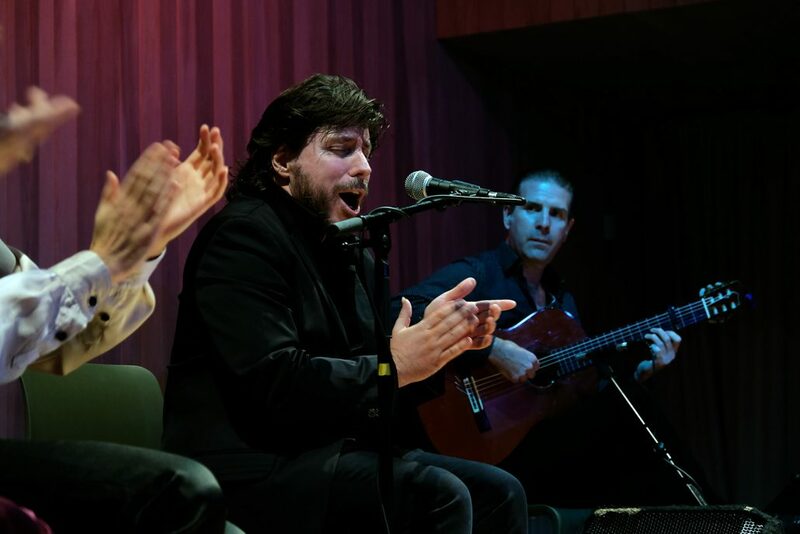 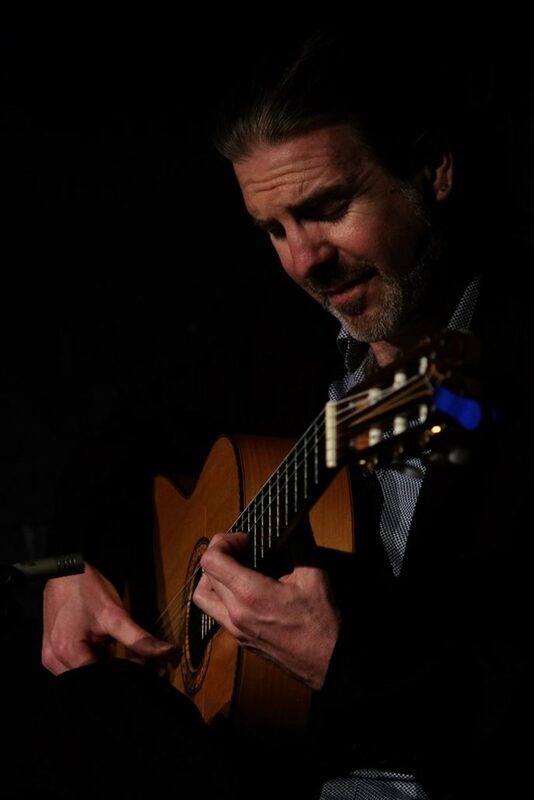 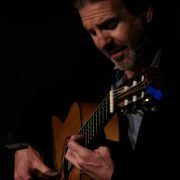 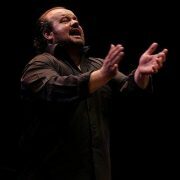 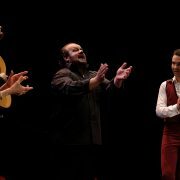 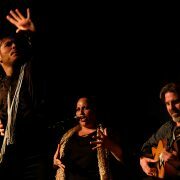 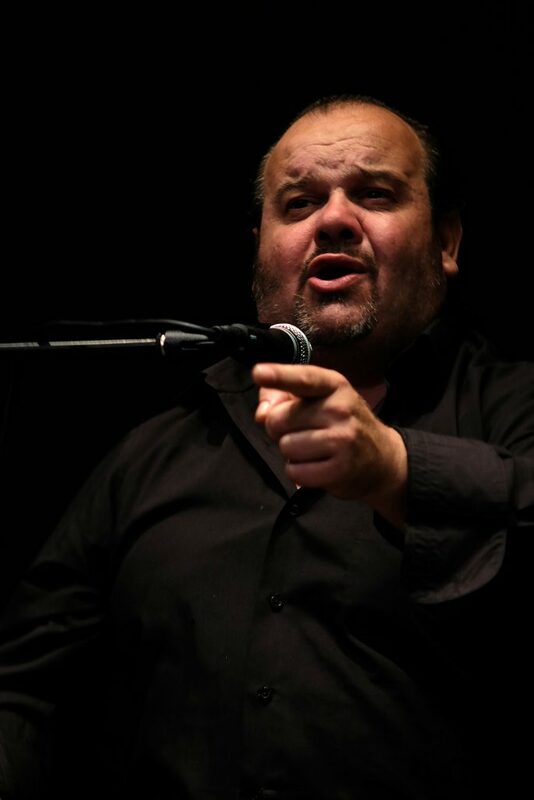 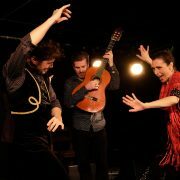 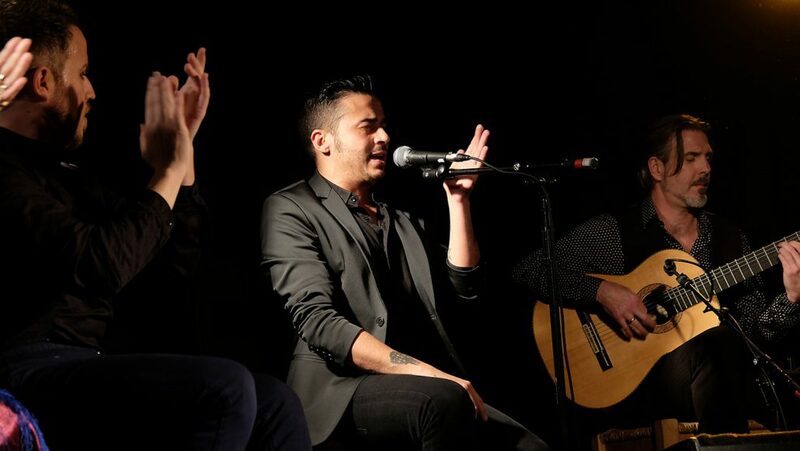 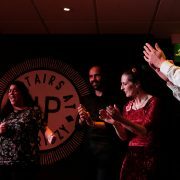 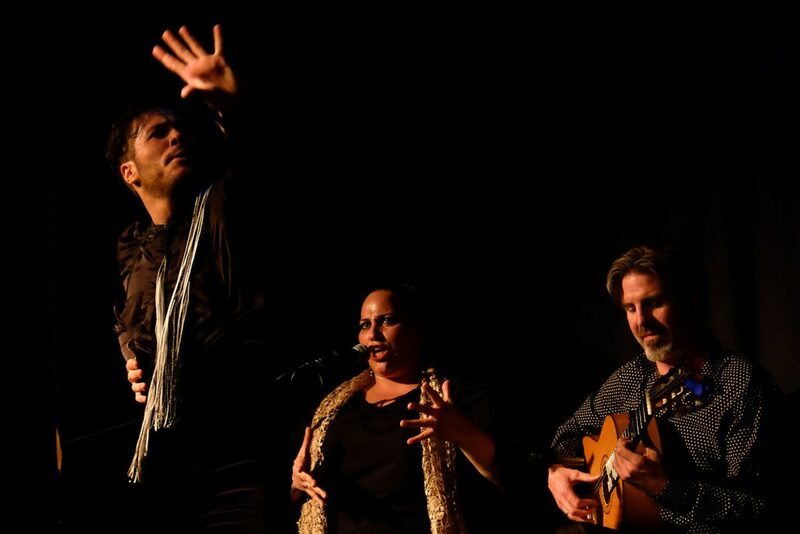 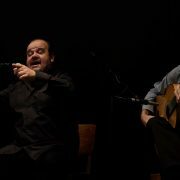 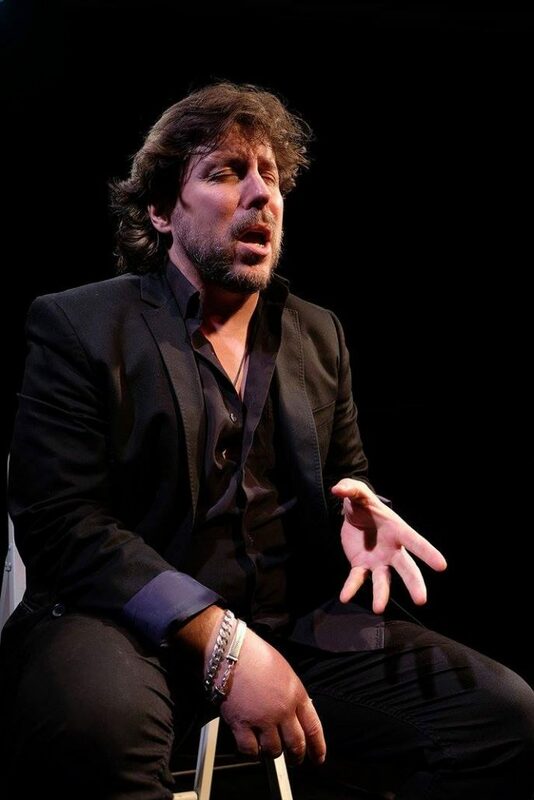 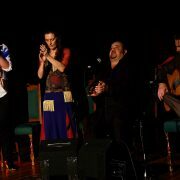 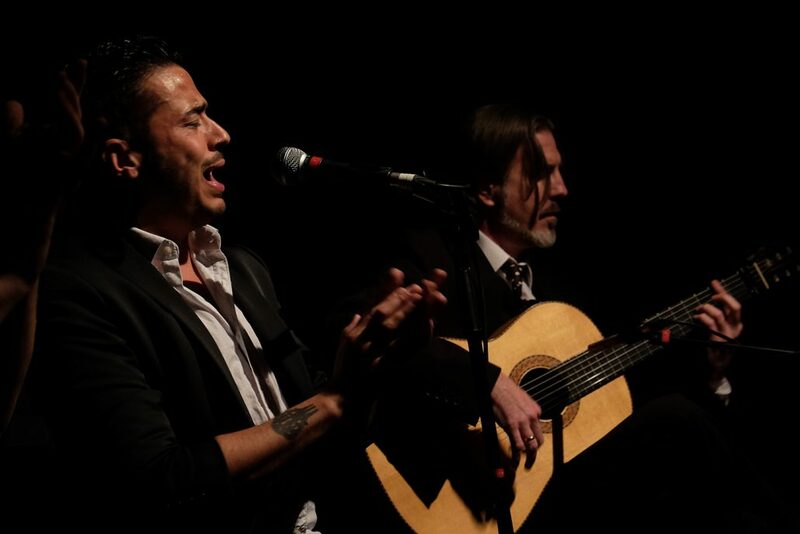 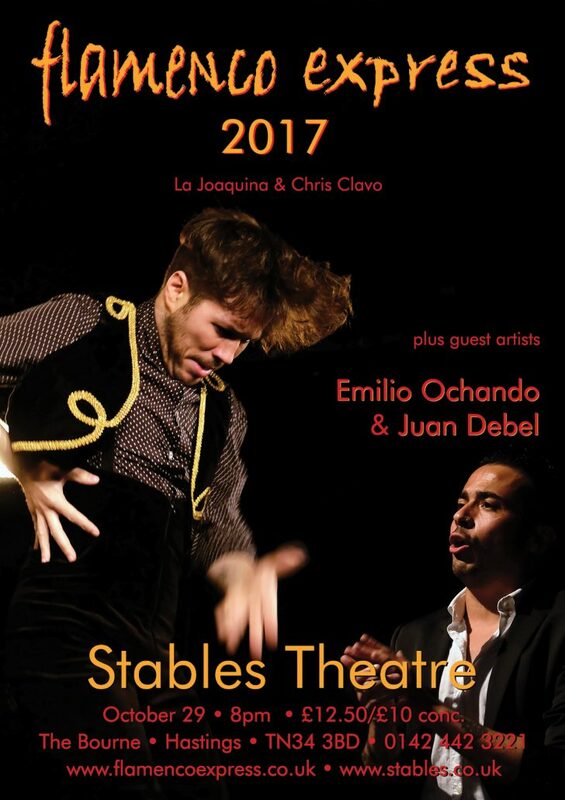 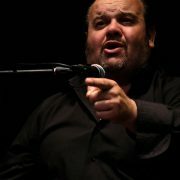 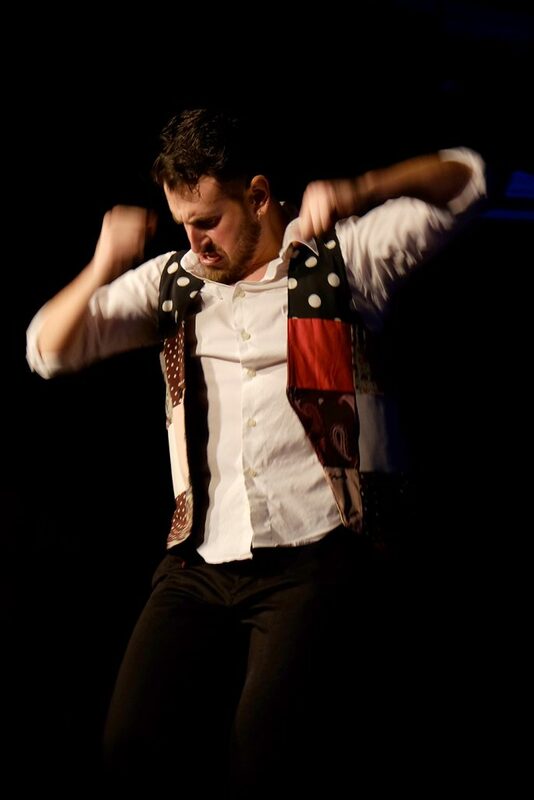 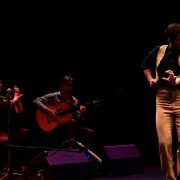 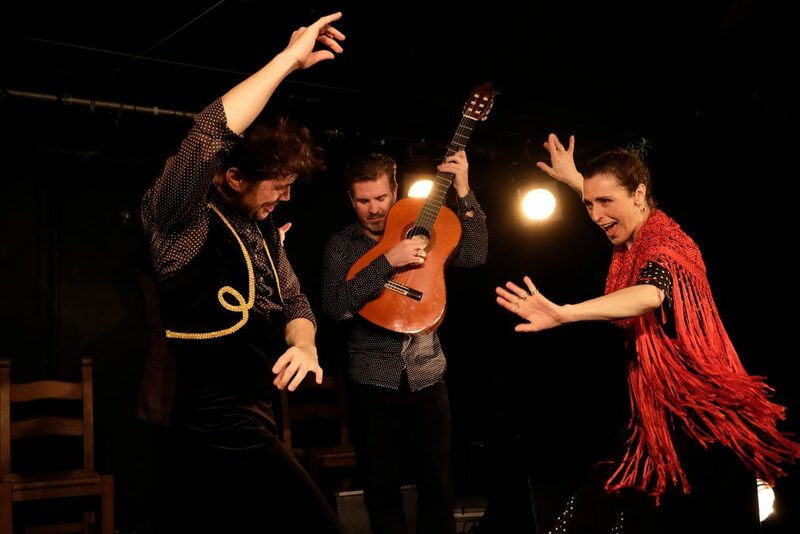 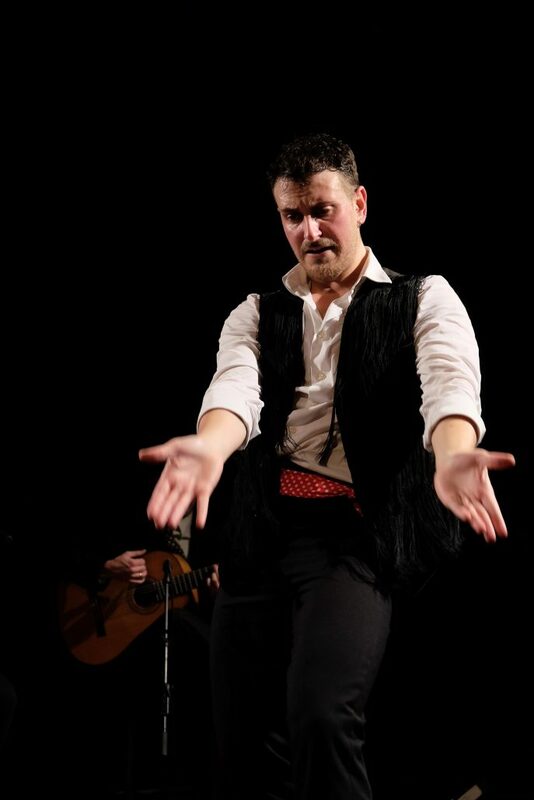 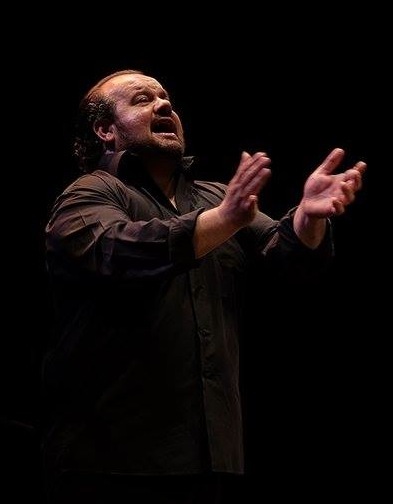 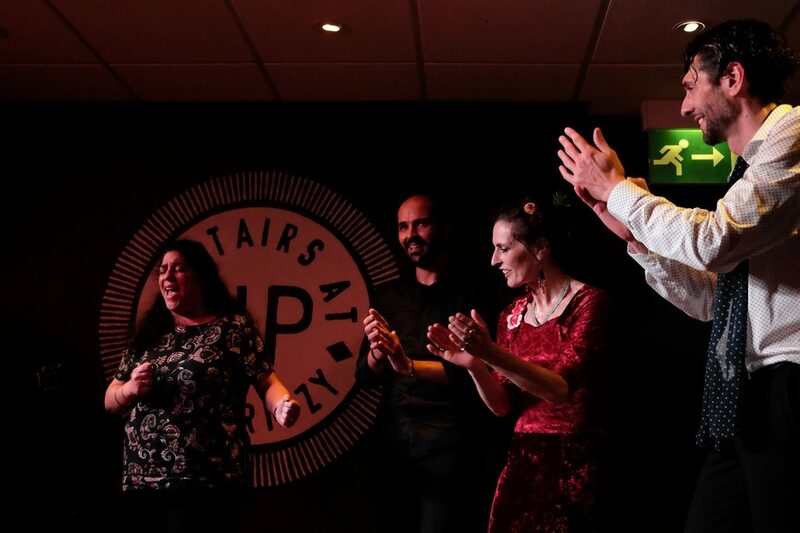 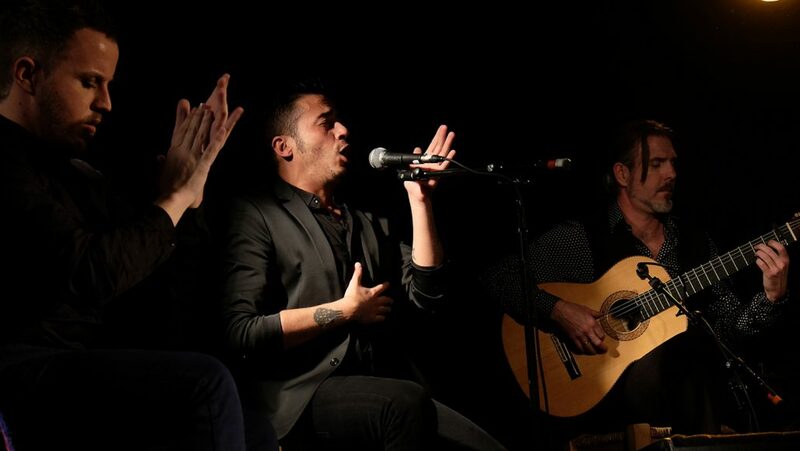 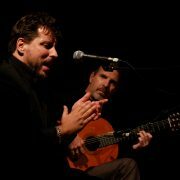 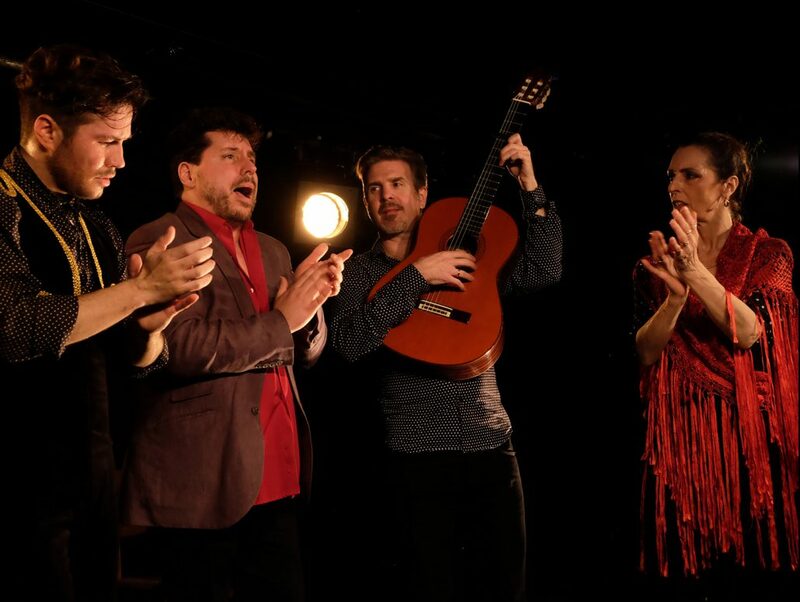 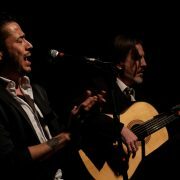 He has performed throughout Britain and Europe with Flamenco Express as well as touring with flamenco jazz virtuoso Eduardo Niebla and Iraqi pop sensation Jassim. 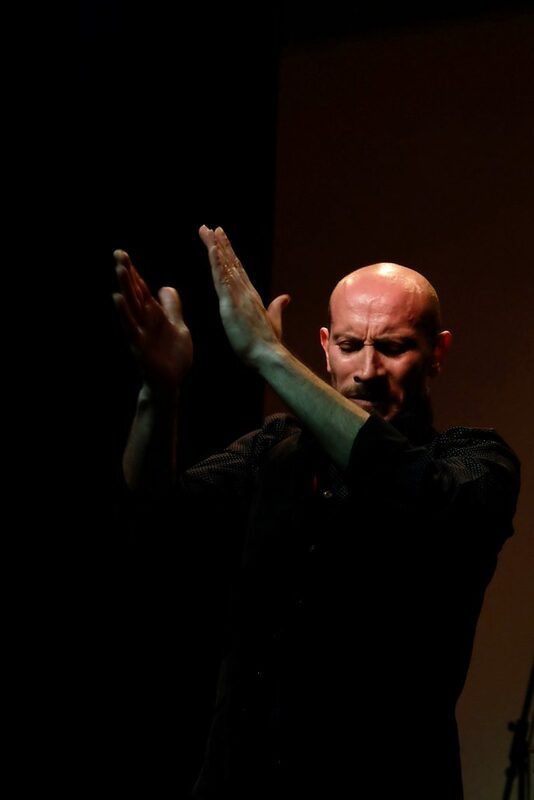 As a composer/producer he has written and recorded scores for film, TV and theatre including work with Granada TV, Channel 4 Films, The Young Vic and the Royal Shakespeare Company.